It has been a busy Spring out here on the homestead; the hens, which were little balls of fuzz a couple of months ago, are huge, the first tomato plants are over 6' tall already, the hot peppers and blueberries are plentiful, we've had 2 litters of kittens... and the last. They are cute but they are many. 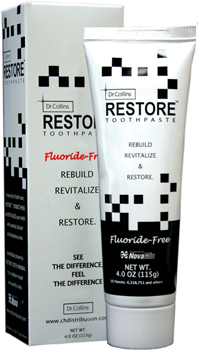 Sales of Dr. Collins Restore Toothpaste and the Synthovial 7 Hyaluronic acid were out the roof after the promotion I did a month or so ago. I found very quickly that I had great difficulty keeping up with the demand! Needless to say, I learned a lot and made some changes in the way things are handled around here. Orders should flow a little better and arrive a little sooner. I am getting a lot of questions on oral health recently and will cover that topic in this issue. Much has been brought up about Dr. Judd and the big glycerine scare - I'll share my 2 cents on that as well. Thank you in advance for putting up with a little sarcasm in this issue and I hope you enjoy reading the articles today. I get calls and I get email... I need to clear up some misconceptions. 1. I do not have a list of dentists in your community who will treat you like Dr. Nara would if he was still practicing (he retired close to 30 years ago). This is one of the most common questions I'm asked and one of the first I asked of Dr. Nara when I became involved. Many will then ask, "...well how do I find a dentist like Dr. Nara who will help me??" My answer to that is to use common sense. Get totally familiar with Dr. Nara's work. Read the articles on the OraMedia site, read and become well-versed with his books, MONEY BY THE MOUTHFUL and HOW TO BECOME DENTALLY SELF SUFFICIENT. You may need to re-consider what you previously knew about the subject and get acquainted with Dr. Nara's views before you can seek them out in another professional. Afterward you need to beat the bushes, check around and so on. Most questions I get are already answered in Dr. Nara's books and materials, which leads me to... By the way, don't get suckered in by titles. Just because your dentist calls him or herself 'holistic' or 'biological' does not automatically mean they are looking out for your best interest. 2. Please DO study Dr. Nara's books and materials on the web site. I honestly have people write or call and tell me that they don't have the time or desire to study the subject and could I please just give it all to them in a nutshell. In other words, they are special and I should stop what I am doing to explain it all to them - even though I spent the last 12 years trying to load what I could into the site. This honestly happens. I get a ton of email every day and I TRY to answer everyone but some do get missed. One woman got irate with me after sending me a list of questions last week and even though I answered every one of them, she wrote back and complained that I did not answer them to her satisfaction. (Her initial email closed with, "I know you are busy and any answers will be greatly appreciated.") All of her questions were covered in Dr. Nara's books. 3. Mommies: Please don't send your babies to bed with a bottles full of fruit juice or juice drinks. I get SO many requests from parents whose little ones' teeth are decaying and they do not want to have to go through the pain and expense of dental work on their two or three-year-olds. Babies' teeth have to be taken care of just like older kids' teeth. When they fall asleep with a mouthful of fermentable sugar (fruit juice) or carbohydrates which convert to sugar, well, the germs are going to feast and excrete acids. The acids are going to decay those young little teeth and that can cause problems when the adult teeth come in. Dr. Bob and Ruth Nara wrote a good series of articles on how to care for your child's teeth from birth (yep, BIRTH) to adulthood. If you have children or grandchildren of any age, read this material. 4. "I have excellent oral hygiene, but my dentist says I have periodontal disease!" I would wager that we would differ over the definition of 'excellent' and you might consider learning what excellent really is - or - maybe you need to get another opinion, unless, of course, the signs are there; bleeding, pain, tooth decay (cavities) in which case I suggest the re-definition idea. Other factors could be at play of course, but I suspect that they are rare. Some will say, "The science behind the germs, acids, decay... well, it just doen't apply to me. With me it's genetic..." One of my favorite sayings on that subject: 'Genes load the gun, lifestyle pulls the trigger.' We know what causes decay. How the body REACTS will differ from person to person, but the cause and cure is always the same. Finally, are you on a lot of medications causing your mouth to be dry (Xerostomia)? This could be a big factor as well, especially in us older folk. If contemplating dill pickles can't get your saliva glands producing, get to the pharmacy and pick up some Biotene rinse, made especially for that situation. People frequenting the street pharmacist should also take this under serious consideraton as well. They don't call it 'meth-mouth' for nothing. Please do write if you have questions. My favorites are those with questions about the material they have already studied! If you don't hear back from me in a week, please re-submit. This short piece is in response to the many who ask me about Dr. Judd and his work. Let me first say that I have been familiar with Dr. Judd's writing for a very long time, in fact, I kept a piece of his up on the OraMedia site for quite a while in the early days of the site. It may still be there for all I know. I believe that Dr. Judd's intentions were good and that he truly believed that tooth decay and gum disease could and should be eradicated. I do feel that some of his concepts are a little misleading simply because of the way he looked at things. First, I was pretty concerned about Dr. Judd's assertion that germs do not cause tooth decay and gum disease, not because he is entirely wrong, rather the misconception that would lead people to dismiss germs altogether as FACTORS in the disease process. Of course, germs alone do not cause the disease. It is the excretion of the acids from the germs - their by-product - which causes our bodies to go into defensive mode which is, technically, the process. Dr. Nara's and the approach of other top experts in this field is to eliminate the germ 'factor' thereby controlling the disease process. No germs, no disease. Some have written to me saying that we should live in harmony with the little parasites which have invaded my or my kid's teeth. I tell them that THEY can live a harmonious life with p. gingivalis - I'm going to brush and irrigate. Another assertion that Dr. Judd makes is that we should only be brushing with soap. Accordng to Dr. Paul Keyes, one of the top oral microbiologists in the world with well over 50 years in the field, soap ain't bad, but isn't nearly as effective as good old baking soda or salt when it comes to killing the germs which cause tooth and gum disease. However, let's not put too much emphasis on the dentifrice we use, whether it be soap, baking soda or diamond dust from the mines of Africa! The key is brushing regularly and thoroughly - not allowing the bacteria which are instrumental in disease to colonize and form bio-flim or plaque. Plaque is their housing project and it is a lot easier to keep it under control than to undo the damage done by neglect. I get humored by the claims of this product or that when it comes to keeping the teeth clean. It is the mechanics of the process; the brushing, flossing and irrigating where you are going to benefit. The dentifrice is secondary when we are talking about cleaning. 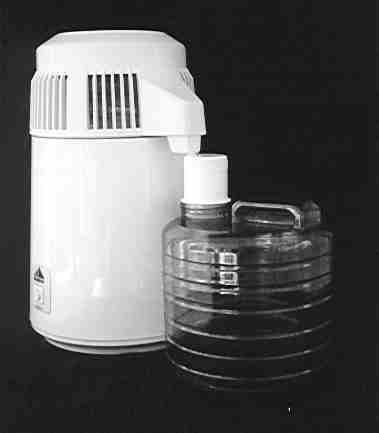 "In foods and beverages, glycerol (glycerin) serves as humectant, solvent and sweetener, and may help preserve foods. It is also used as filler in commercially prepared low-fat foods (e.g., cookies), and as a thickening agent in liqueurs. Glycerol also serves as a way, along with water, to preserve certain types of leaves. Glycerol is also used as a sugar substitute. In this regard, it has approximately 27 calories per teaspoon and is 60% as sweet as sucrose. Although it has about the same food energy as table sugar, it does not raise blood sugar levels, nor does it feed the bacteria that form plaques and cause dental cavities." Hmmm... a sweetener which doesn't feed bacteria. Sounds like it might be right in a dentifrice. If, in fact, it does stick to the teeth for a while (substantivity), just maybe you are getting the benefit of the teeth not DE-mineralizing throughout the day. Two of our products, TheraSol and Restore feature that as a benefit! I hope that helps to clear up a few things about where I stand on Dr. Judd's statements. They keep sending me samples. My family and I have been using them right along and I think it is the best brush I've used. I think you will too! 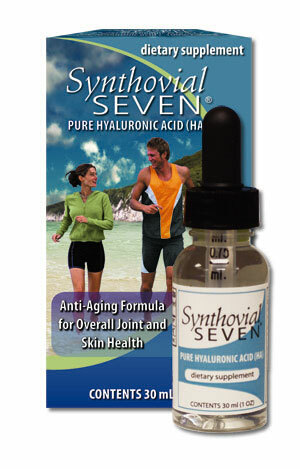 Hyaluronic acid (HA) exists naturally in all living organisms. In the body, it is found in greater concentrations in the synovial fluid of the connective of teeth & gums, joints for lubrication, the vitreous humor (fluid) of the eye and most abundantly in the skin. With Calcium and Phosphorus Ions to Re-Mineralze Your Teeth! Most of us think of inflammation as visible swelling, and gum inflammation is something to keep an eye out for. When inflammation occurs the body produces inflammatory chemicals called leukotrienes which damage cell membranes. It is theorized that these leukotrienes also increase your odds of heart disease and cancer. Easily keep gum inflammation under control and help rule out damage to the body from this unnecessary source! Thank you for reading this issue of the OraMedia Newsletter for Dental Self Sufficiency! Next Issue: What to do when there is no dentist.